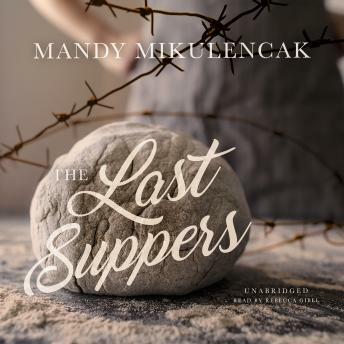 Set in 1950s Louisiana, Mandy Mikulencak's beautifully written and emotionally moving novel evokes both The Help and Dead Man Walking with the story of an unforgettable woman whose quest to provide meals for death row prisoners leads her into the secrets of her own past.Many children have grown up in the shadow of Louisiana's Greenmount State Penitentiary. Most of them-sons and daughters of corrections officers and staff-left the place as soon as they could. Yet Ginny Polk chose to come back to work as a prison cook. She knows the harsh reality of life within those walls-the cries of men being beaten, the lines of shuffling inmates chained together. Yet she has never seen them as monsters, not even the ones sentenced to execution. That's why, among her duties, Ginny has taken on a special responsibility: preparing their last meals.Pot roast or red beans and rice, coconut cake with seven-minute frosting or pork neck stew ... whatever the men ask for Ginny prepares, even meeting with their heartbroken relatives to get each recipe just right. It's her way of honoring their humanity, showing some compassion in their final hours. The prison board frowns upon the ritual, as does Roscoe Simms, Greenmount's Warden. Her daddy's best friend before he was murdered, Roscoe has always watched out for Ginny, and their friendship has evolved into something deep and unexpected. But when Ginny stumbles upon information about the man executed for killing her father, it leads to a series of dark and painful revelations.Truth, justice, mercy-none of these are as simple as Ginny once believed. And the most shocking crimes may not be the ones committed out of anger or greed, but the sacrifices we make for love.